The painting was written in 1905. 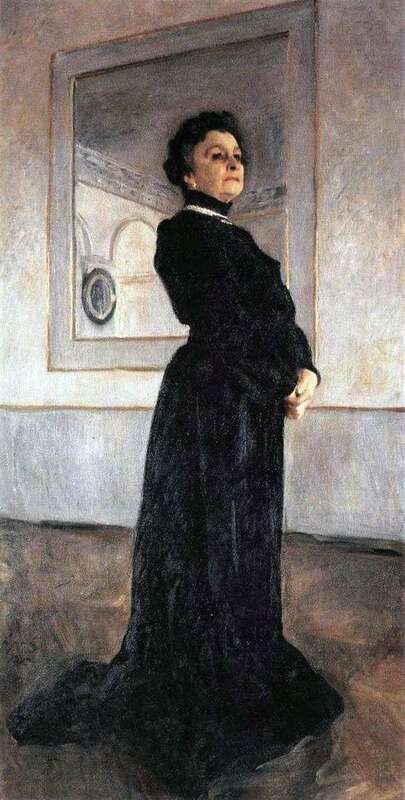 Serov created this magnificent portrait of Yermolova, immortalizing the memory of this artist. This picture is a classic example of how an artist can understand the inner content of a person. It is on these striking examples that portrait painting is worth studying. Before the viewer appears brilliant actress. She is depicted as realistic as possible. Viewers Looking at this picture, one clearly understands why this man’s talent has so strongly influenced all contemporaries. We see a woman who has the most significant spiritual content. This is a whole person who is true to his convictions. Her heart is very hot, and her willpower is truly enormous. It was thanks to this rich inner content that the lyrics being uttered by the artist sounded more. Enough to peer into the image of the artist, to achieve an understanding of why her poems evoked a real protest in the audience. They clearly heard the call for an immediate fight. All this can be felt, thanks to the skill of Serov. The artist has managed to create a magnificent image that awakens thoughts about art and creativity in the audience. We can look at this picture both close and distant. The silhouette of the heroine is incredibly expressive. Serov’s idea is original and original. It creates the overall impression that we are contemplating a monumental sculpture. Our eyes are chained to the face of Yermolova. Involuntarily want to linger on her eyes. They are hidden maximum appeal. The look surprises with depth and inspiration. The creation of the painter helps to understand why the game Yermolova was so expressive. Each person could see through the eyes the mighty temperament of the actress. They reflected the multifaceted essence of her nature. The portrait of Serov is really impressive.